Gelding by Invincible Spirit, purchased from Godolphin at Doncaster Sales 2017. His dam Pearl Grey was a dual winner and was placed in Listed and Group races. He is a half brother to winners Graymalkin, Grizzle and Pearling. 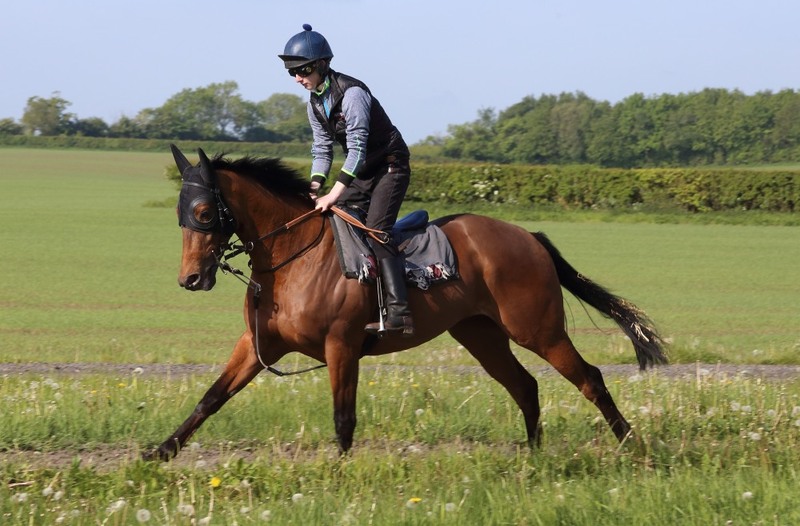 Airglow won his first race at York in July 2018 on a very wet night after an evening of thunderstorms. He won again in August when he scored under Hayley Turner at Chepstow and made it three wins for 2018 when first home at Catterick in October. HEAD: Whorls bilaterally at junctions of mid & lower crests, both feathered forwards. Whorl upper left crest feathered forwards.Median throat whorl. Median whorl lower windpipe with oblique feather below. RIGHT HIND: White to lower fetlock in front, to full fetlock behind. BODY: Bilateral axillary and stifle fold whorls.